The Amazing Spider-Man 2 gets yet another villain. The Amazing Spider-Man 2 director Marc Webb appears to have inadvertently revealed the character B.J. Novak (The Office, Inglorious Basterds) plays in the upcoming film. Note that this qualifies for a SPOILER ALERT, so proceed with caution. In a tweet captured by ComingSoon, Webb confirmed that Novak is playing future Spider-Man villain, Alistair Smythe. The tweet was more a shout out to Novak than an intentional reveal. Up to this point, Novak’s role has been kept quiet. The character of Spencer Smythe – Alistair’s father – has been teased, but was also unconfirmed. For those keep track, that would bring the number of known comic book Spider-Man villains appearing in the film to five, possibly six. In the comics, Spencer Smythe was a robotics genius that created a line of robots designed to detect and hunt spiders. Daily Bugle publisher J. Jonah Jameson then hired Smythe to construct offensive robots in order to capture Spidey. After an epic failure, Smythe turned to crime in order to fund future robots, which he dubbed “Spider-Slayers.” After radioactive materials he used to build the robots poisoned him, he faced a slow and fairly horrible death. Alistair Smythe inherited both the spider-slayers and a hatred of Spidey. 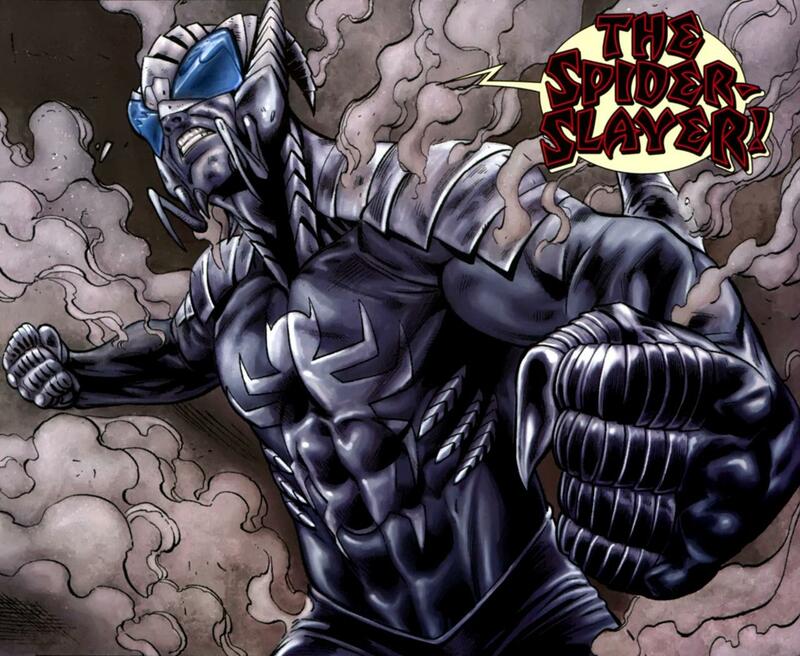 The younger Smythe went on to experiment on himself, eventually becoming the villain, the Ultimate Spider-Slayer. The character of Spencer Smythe was mentioned on the film’s Daily Bugle Tumblr page, which features several fictional news stories set in Spider-Man’s New York City. One of the faux-stories focuses on Spencer Smythe, and lists him as the head of engineering for Oscorp. If Spencer Smythe appears in the film, it’s currently unknown who will play him. There are several possibilities as to how Smythe – either of them – will fit into the movie. One theory (of ours) is that the Rhino suit will be created by Oscorp, which would put it under the purview of Spencer Smythe. The character of Rhino (played by Paul Giamatti) goes from a track suit-wearing thug to the operator of a complicated mech, suggesting he has help. The first film made it a point to portray Oscorp as a hub for all things anti-Spidey, so it would make sense that Oscorp was responsible for the Rhino suit in some way. If Smythe is then responsible for Rhino (perhaps even indirectly – the suit could be stolen) then he would be in line with his comic book version, at least in the sense that he creates robotics that are used for destruction. It’s not a huge leap from that to Spider-Slayers. 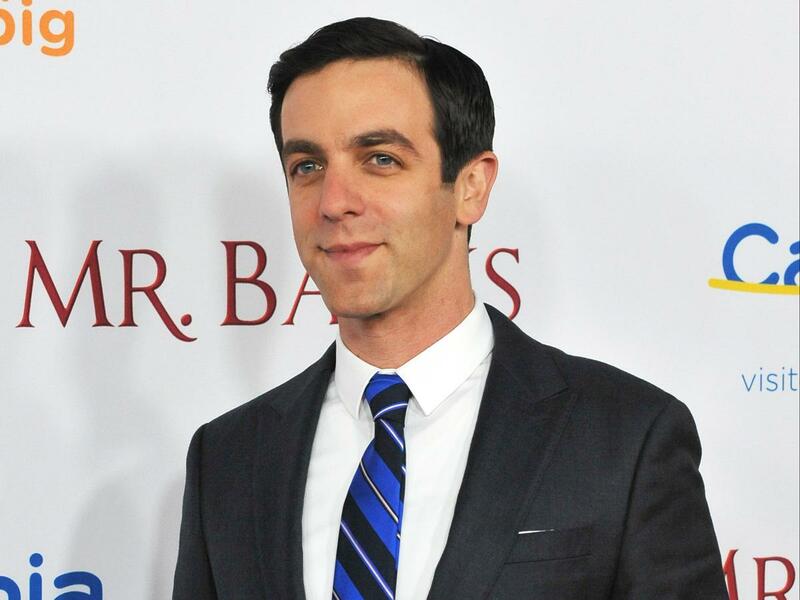 Since Alistair is being introduced, it stands to reason that casting an up-and-coming actor like Novak would mean the character has an important part to play. With so much already going on in this film, it’s unlikely that we’ll see Spider-Slayers in The Amazing Spider-Man 2, but there are more films coming in the future. The studio has already confirmed that it wants to make a third and a fourth film, as well as spin-offs, one of which would focus on the Sinister Six. Smythe was never a member of the Sinister Six, but there’s no reason he couldn’t be in the film version. Regardless of what role he plays and whether or not bigger things are in store for Novak’s Smythe, the inclusion of both Smythes brings the total number of Spider-Man supervillains appearing in the film to six – even if they don’t appear as their supervillainous alter egos. The Smythes (assuming Spencer is in the film) will be joined by another villainous father-son duo: Harry (Dan DeHaan) and Norman Osborne (Chris Cooper). Those four will appear along with the aforementioned Rhino, as well as Electro (Jamie Foxx). And that’s just the ones we know about.